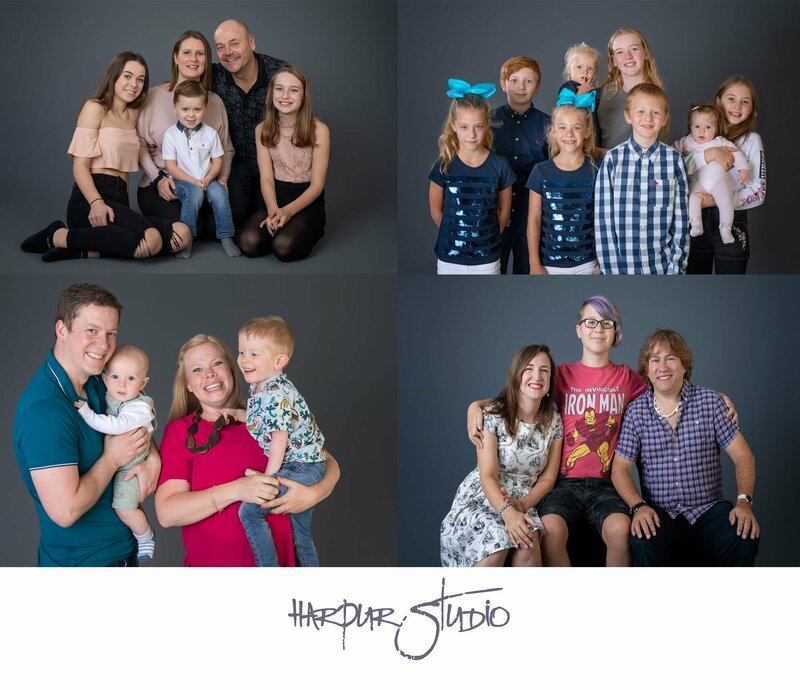 At Harpur Studio we love capturing the moment with natural portraits that capture big smiles and genuine characters. Come along to our large portrait studio in Bedford for a fun filled photo shoot and let us capture your family's unique story. Your family portrait session will last up to an hour allowing our photographer to capture some beautiful images of your family. Our photographer will discuss beforehand what style of photography you would like, making sure you get exactly what you want from your session. Weather allowing, you can opt for an outdoor session, rather than shooting in the studio. The studio is just a short walk from the Castle Mound and Embankment with a multitude of wonderful backdrops. The same professional service, print and image options but with an outdoor shoot rather than a studio shoot. After your photo session you will be given our product guide brochure to take home to browse through at your leisure. We offer a large range of products including prints, digital images, framed wall art, storyboards, collages and canvas wall art. Our product guide contains all the information you need to know about our products and the sizes available, which will allow you to measure up at home to work out what size products will fit best on your walls. Our product guide also contains all our prices. As all our products are made in-house by The Picture Gallery you will find our prices very competitive compared to other portrait studios. 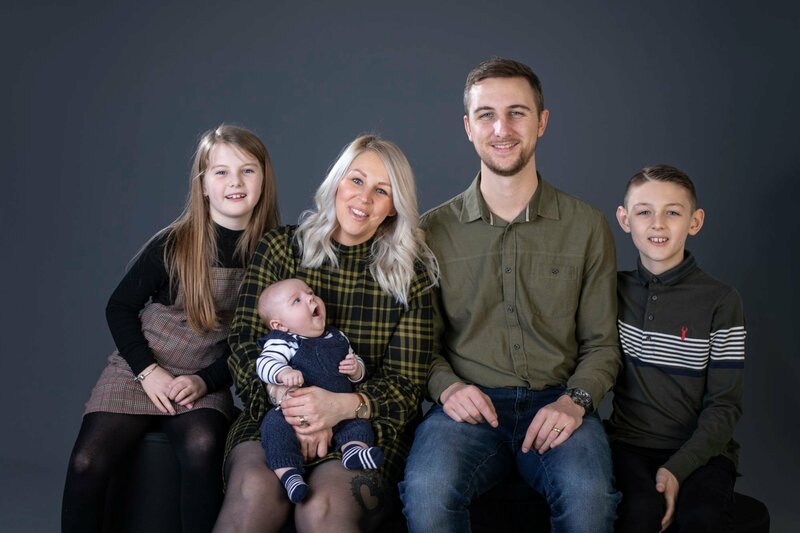 We pride ourselves on great value for money and are very clear on our prices so you don’t get any nasty shocks when you come back to view your photos! We’re just that sure you’ll find something you love with prices to suit everyone’s budget. Approximately one week after your photo shoot you will be invited back to our studio to view your images in a cinema style presentation. Our photographer will then go through your images one-by-one so you can choose your favourite images and discuss the type of product you had in mind. We also have a variety of framed images and canvas images on display in different sizes at our studio so you can see the actual size to help you decide what size would best suit your walls. A typical session of up to 1 hour provides between 20-30 edited images to choose from, for larger groups with a mix of groupings, that may well be higher. Up to 1 hour is more than enough for most bookings, if you think you may need longer than an hour, please contact us to discuss your requirements. So, what are you waiting for? 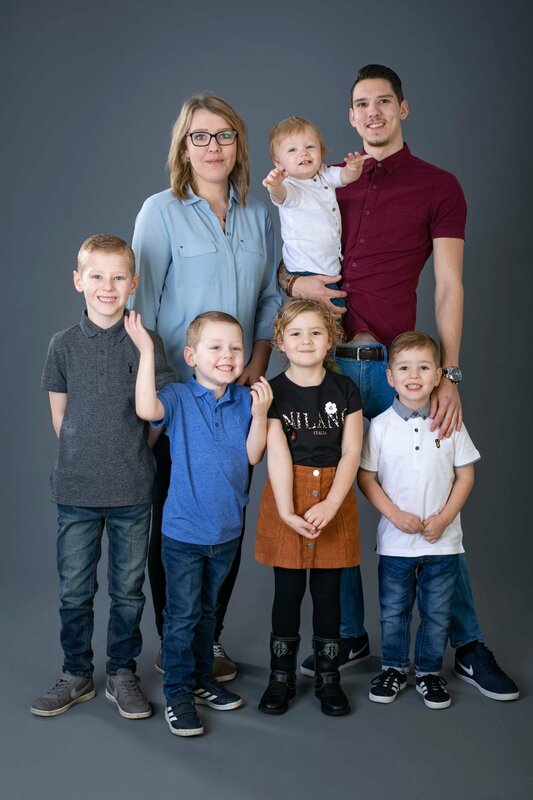 Book your family portrait sitting today by calling us on 01234 363914, or 01234 262609, or book online by following the link below.